Members of the BeKind UNM committee delivered teddy bears and other toys to Albuquerque Police Chief Gordon Eden and area commanders last week as the final event of the BeKind UNM celebration. The bears will be kept in APD patrol cars to be given to children in traumatic situations to help ease some of the stress. 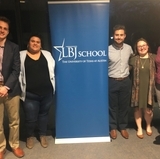 Eden says that The University of New Mexico has always had a generous heart when it comes to the Albuquerque community, and the bears give the police department the opportunity to comfort the children they deal with who may be in crisis. "We are usually so caught up in trying to take care of people who have been injured and trying to gather the facts," he said. "This gives us an opportunity to spend a little time with the child and hopefully give them something that will comfort them." 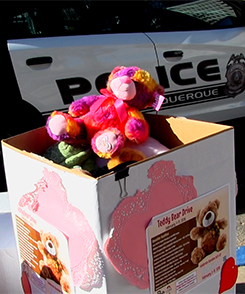 The teddy bears and other toys were collected during events held on The University of New Mexico campus at the beginning of February. All tolled, over 300 bears and other toys were donated to benefit both APD and the UNM Children’s Hospital. 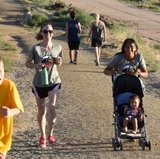 The UNM Division of Student Affairs in conjunction with several UNM departments, Albuquerque businesses, and community groups sponsors the UNM BeKind celebration and other kindness initiatives throughout the year. For more information visit the BeKindUNM webpage or call (505) 277-0952.